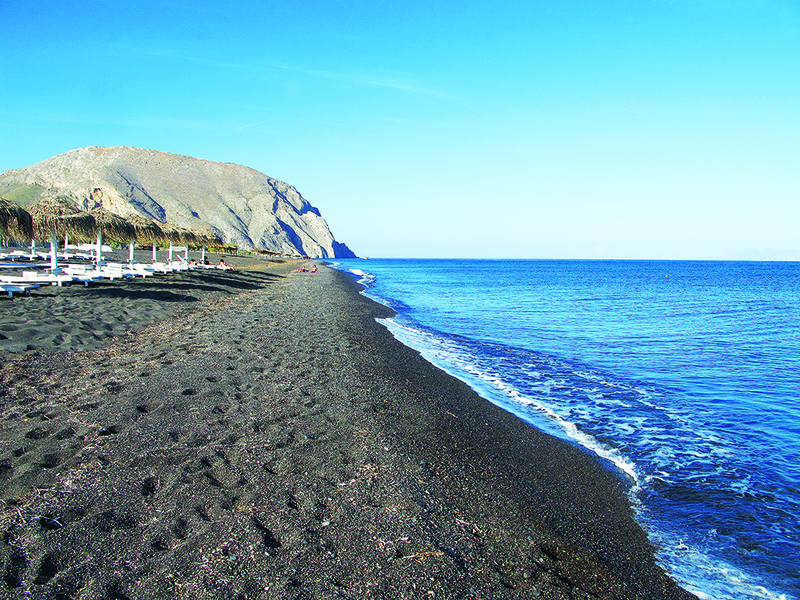 Perissa is not just the most popular beach of Santorini. Here are remnants of the Byzantine Period, the Church of Agia Irini (Santa Irini, from which the name Santorini derived), the Church of Timios Stavros (Holy Cross) and the Museum of Minerals and Fossils with exceptional exhibits (telephone 6973 379949). Tip: A path starting from Perissa leads to the ancient city of Thira on the mountain Mesa Vouno (Profitis Ilias).